I know 200 might seem small to some of you. But this is only my 2nd real day, since the first was only 6 hours long lol. But 200 views in one day, so far, I’ve very chuffed with that. It’s a kind of Benchmark! I’ll aim for 100* a day since that seems more reasonable, and if I get more, well woohoo! Thankies su once again! 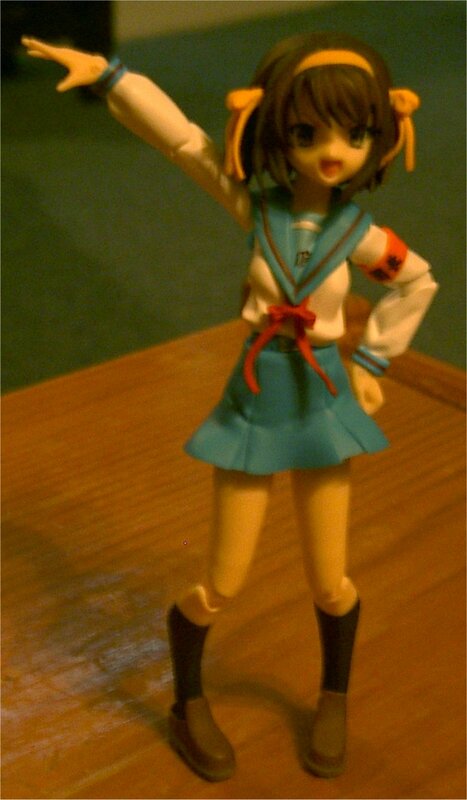 Heres a pic of Haruhi posing from the Hare Hare Yukai dance!